The first Monday of the New Year is often a day when things get back to normal. The festive period has been enjoyable and exciting but it cannot last forever and this is the day when people start to focus seriously on the challenges that lie ahead. There are plenty of great basketball games to look forward to in the NBA on Monday but there were also a number of interesting games on the Sunday evening. The Cavaliers lost again, and they are really missing LeBron James. The Mavericks won in Cleveland by a score of 90-109. The Pistons grabbed a big home win, defeating the Kings by a score of 114-95. 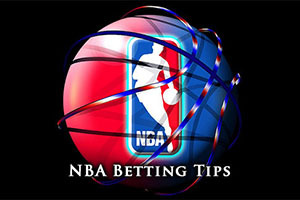 The Suns triumphed against Toronto, winning by 125-109 while the Heat won a tight game against the Nets, winning 88-84. The Bucks got a win on the road in New York, defeating the Knicks 82-95 and the Lakers had a very narrow home win, defeating the Pacers by a score of 88-87. It may have been the first Sunday of 2015, but there was nothing slow or unsteady about the NBA games that were played out on the 4th of January. The Hawks hold a 25-8 record, which includes an 11-5 record away from Atlanta. They face a Clippers side that holds a 23-11 record, which contains a 15-4 record at home. Both teams come into this game on a healthy run of form, the Hawks have won their last four games while the Clippers have won their last 3. The Hawks hold a 4-1 record in their last five games, a record that is matched by the Clippers. The Hawks faced the in-form Portland on Saturday night and the 107-115 away win against the Trail Blazers indicated the quality that the Atlanta team is currently displaying at the moment. The Clippers had the slightly less arduous task of dealing with Philadelphia in their most recent game but a 127-91 win saw them take care of business in an effective manner. In just half an hour, Chris Paul managed to rack up 24 points, 12 assists and 8 rebounds. DeMarre Carroll is the only injury concern for the Hawks, with the player being monitored regularly, while the Clippers don’t have any notable injury concerns going into this game. This is a game that could go either way but taking the Hawks with a +5.5 handicap, at odds of 1.90, is a good way to get some betting action under your belt this week. Bet Now! The Wizards come into this game with a 22-11 record, which includes an 8-7 record away from Washington. They will face a New Orleans Pelicans side which boasts of a 17-16 record, which includes a home record of 11-4. The Pelicans won their last game while the Wizards have lost three games in a row. With respect to their last five games, the Wizards hold a 2-3 record while the Pelicans hold a 3-2 record. The Pelicans routed the Rockets on Friday night with Ryan Anderson grabbing 22 points and Tyreke Evans offered up 21 points in the 111-83 win. The Wizards have not been at their best of last, best shown by the fact that a Spurs team missing Kawhi Leonard and Tony Parker managed to defeat them 101-92 on Saturday night. The Pelicans have a number of players being monitored at the moment with Nene Hilario, Bradley Beal and Drew Gooden all being looked after closely. As for the Pelicans, they have serious concerns over the availability of John Salmons and Eric Gordon. 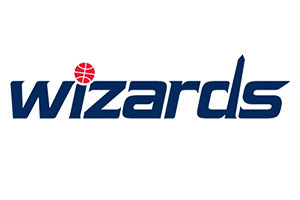 Taking the Wizards with a +3 handicap, at odds of 1.90, is a smart bet given the fact that they will be desperate to return to winning ways in this match. Bet Now! The Thunder hold a 17-7 record coming into this game and this includes a 7-10 record away from home. They will be facing up to the Golden State Warriors who hold a 26-5 record, which includes a monumental 13-1 record at home. Both teams are on a winning run with the Thunder having won their last two games while the Warriors come into this game on the back of three straight wins. With respect to their five game run, the Thunder hold a 4-1 record while the Warriors hold a 3-2 record. Kevin Durant has been in tremendous form since his return from injury. With him in the team, the Thunder can boast of a 9-2 record. Durant grabbed 44 points in the Wednesday night against Phoenix and then on Friday night, he grabbed 34 points in the 109-102 win against Washington. The Warriors defeated the Raptors at home on Friday, by a score of 126-105, giving them 11 home wins in a row. The Thunder don’t have any major injury concerns for this game while Golden State will be closely monitoring Festus Ezeli. Given the great home form of the Warriors, you have to think that taking them with a handicap of -3.5, at odds of 1.90, is a sensible option to get your week of basketball betting off to an excellent start. Bet Now!